Organizations who have been struggling with stopping phishing attacks and want to help to train users. 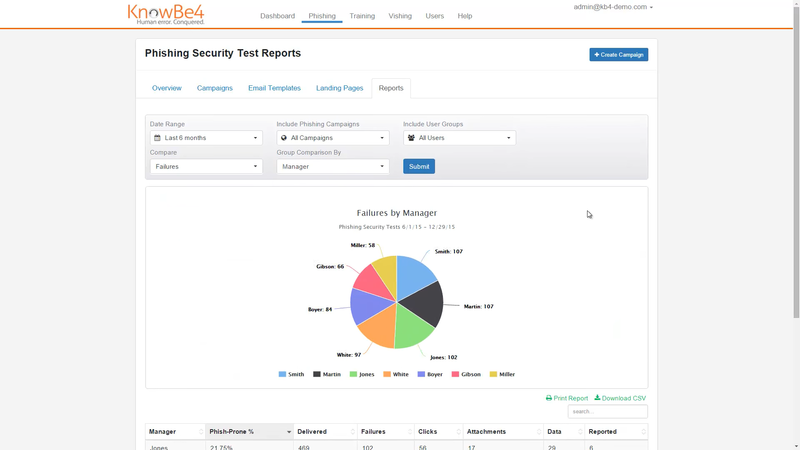 KnowBe4 is the world’s largest security awareness training and simulated phishing platform. They offer a range of materials and scenarios to help train users to be more aware of social engineering style threats. They provide a range of tests such as simulated phishing, vishing and smishing attacks to identify users who need security training. They provide security awareness training to these customers which comes in the form of interactive modules, videos, games, posters and newsletters. A range of reports show how the overall security awareness of an organisation has been increased through the training process. 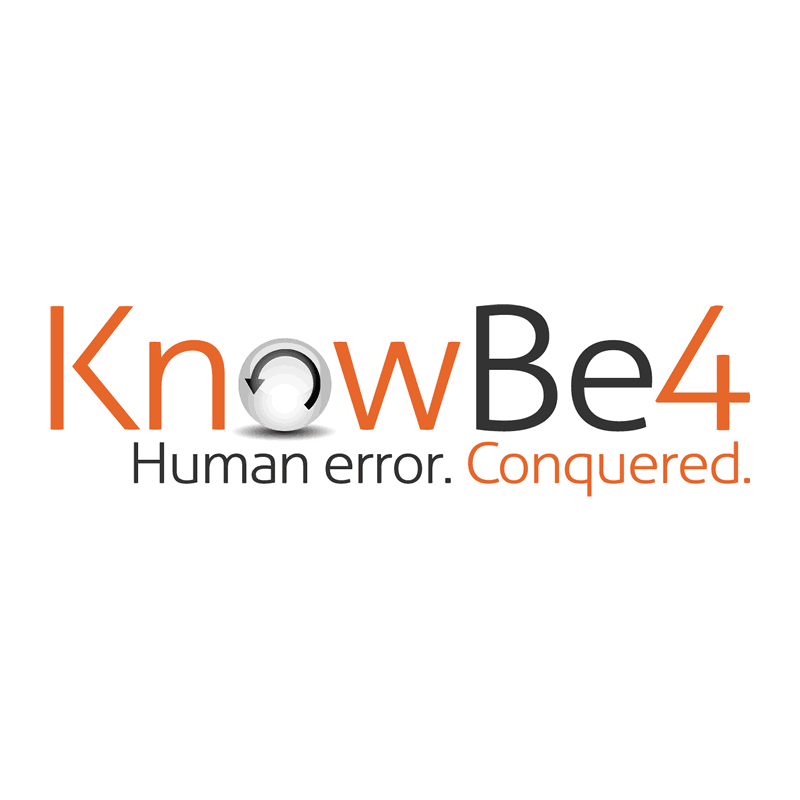 KnowBe4 is a market leader in security awareness training. 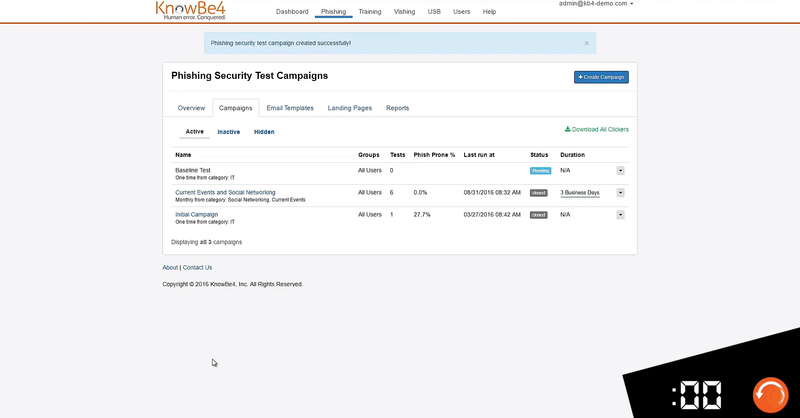 They offer a range of high quality, customisable campaigns to test employees and the service is very easy for IT departments to manage. 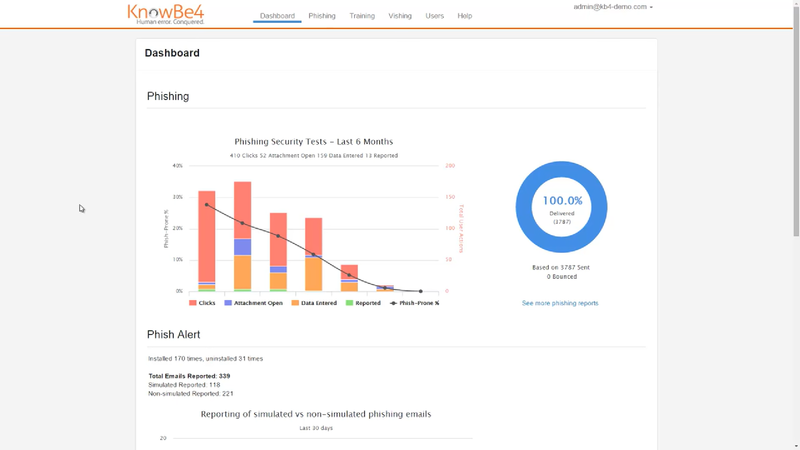 KnowBE4 offer a range of training materials which help to improve the security of a businesses, and statistics help to show how this is improving over time. 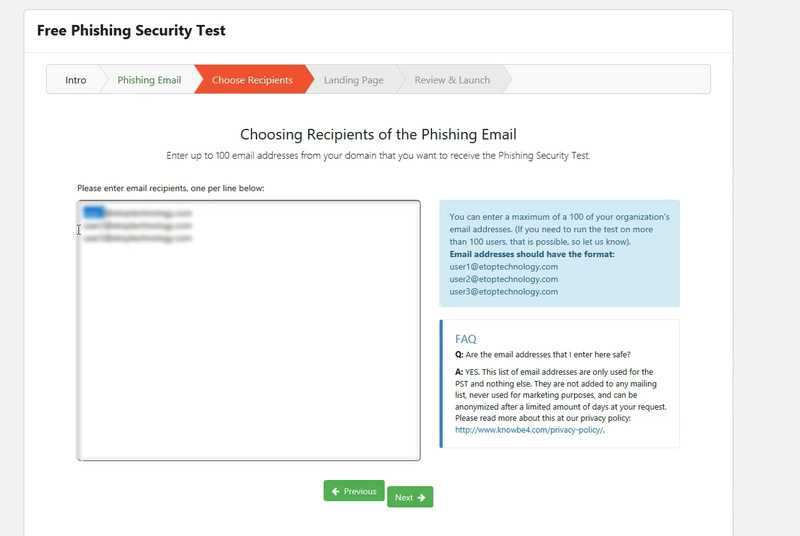 This is a hugely popular service with great features such as the phish alert, which allows users to quickly report emails to IT, helping to prevent potentially disastrous data leaks. The platform is primarily aimed at American companies, with training materials and campaigns aimed mostly at an American audience. It’s a strong security awareness training option for companies around the world, however. 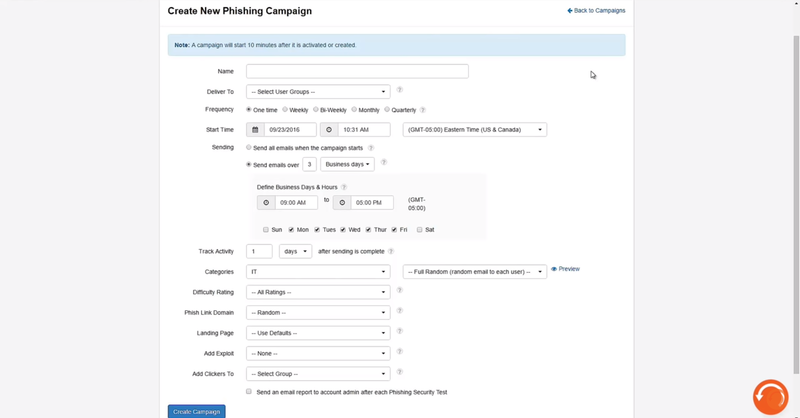 It’s hugely popular among customers and for a lot of businesses will be very effective at increasing the overall security of an organisation against phishing attacks.